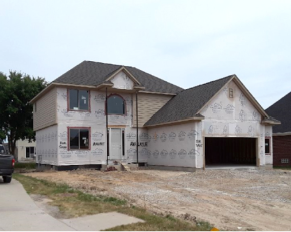 As one of Michigan’s oldest custom home builders, we have built durable, quality homes with exceptional attention to detail for hundreds of families to pass to their children and grandchildren. Founded in Southeast Michigan in the late 1950’s, MGM Construction was at one time the area’s largest construction company. With second and third generation family members still involved in the day-to-day business at MGM, the level of experience is unmatched in the industry, and that expertise is reflected in every detail of the custom homes we meticulously craft for our customers. Why search for the perfect house, when you can build it from the ground up? MGM Construction Co. offers fully-custom floor plans. With in-house architects and designers on staff, MGM Construction Co. can bring your vision to life with the layouts, finishes, and materials of your choosing. Contact us today to schedule a tour of one of our model homes, or to discuss your vision for a fully-custom home built from the ground up in Southeast Michigan. We don’t just build homes- we build homes that are beautiful, unique and perfect down the tiniest details.